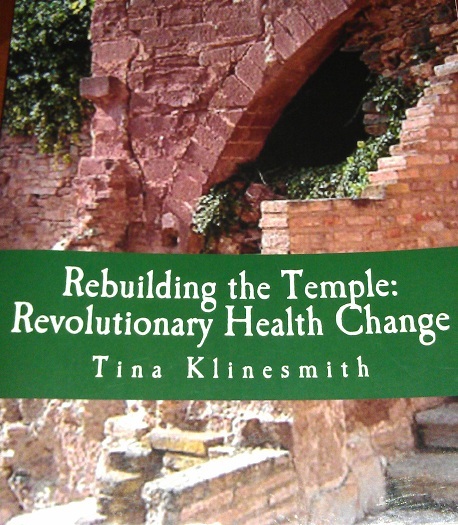 Hi Tina, congratulations on your new book, Rebuilding the Temple. You're here today to talk about a healthy lifestyle and weight loss. Why would a fiction author write a book about weight loss? When I'm not writing fiction, I am a fitness coach and instructor. Originally this was written as a take-home curriculum for the classes I taught about fitness and health but I wanted to gear it, specifically, to Christians and paired it with the devotions. When I lost over 100 lbs, people wanted to know how I did it but everyone is looking for a quick fix. I wanted to cut through all of the fads and garbage to help people realize there is a way to do it that isn't expensive, outrageous or difficult. That is incredible. 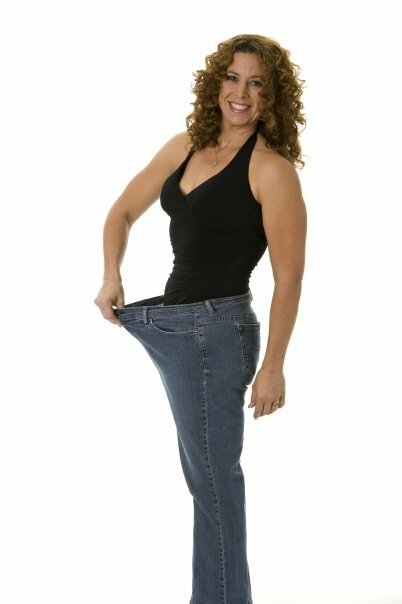 How did you lose 100 lbs? Did you keep it all off? I struggled for years with a weight problem and was ready to give up at 240 lbs (on a 5' 6" frame). I realized that I had to do something so I turned to eating lots of vegetables, fruits and lean proteins. I swapped out over-processed foods for whole grains and eliminated a lot of the "junk" food. I didn't do it overnight so it wasn't an overwhelming task when I took it one step at a time. Like everyone, my life is constantly busy and changing. Due to some medical issues over the last few years my weight has fluctuated but I continue to use the plan and I am healthy and maintain balance which is what I am trying to teach people. Sometimes things happen that are out of your control but you do the best you can to be as healthy as you can be. What is your best diet tip? Drink more water! Most people don't drink nearly enough water and that one tip may kick-start weight loss. I usually drink a gallon or more a day. If you want to lose weight, you should be drinking half of your body weight in ounces daily + 8 oz for every 30 minutes of exercise. (Eg. a 200 lb man would drink 100 oz). It may seem like a lot but your body needs that water to rid toxins, including burned fat, from your body or they just stay and "gum up" the systems. Also, use common sense! People know that French fries and burgers are not healthy meal options yet we eat them daily (and give them to our children). And then top it off with a diet soda...what's the point in ordering diet? A low-fat cookie is still a cookie. And, I'm a realist, I know that people want fast food sometimes. A burger and fries would actually be fine if it was only once every few weeks but not several times a week. We (humans) have an uncanny ability for convincing ourselves that having a overcooked vegetable with dinner means we "eat healthy." I just went and poured myself a glass of water. Okay, so what does a "healthy meal" look like? A good, balanced dinner would be something simple. About 4-6 oz of lean meats (fish or chicken is best), about 1/2-1 cup of grains (rice, bread, pasta) and 2-3 cups of vegetables (or 1/2 - 1 cup cooked vegetables and 1-2 cups raw, like a side salad). A quick meal would be sauteed mixed vegetables like pea pods, water chestnuts, broccoli, green beans, carrots and bell peppers with chicken over brown rice. What about exercise? How much do we actually need and what are some ways to fit it into a busy schedule? Dieting works to lose "weight" but exercise will change your body shape which is really what people want. You really need both dieting and exercise to visually see your body change shape. To be healthy, I recommend that everyone gets at least 30-60 minutes a day of exercise if they are doing traditional cardio exercises like running, swimming, biking. If they are doing HIIT workouts (high intensity interval training), the time commitment can be as little as 10-15 minutes. It might take longer to shower than actually workout! I'm a busy mom of three teens, I run two businesses from home and I write full time. I know how to fit a good workout into a short period of time. HIIT workouts help me do that. I also keep my resistance workouts short but with maximum effort to make change quickly with little time spent working out. The days I have more time, I do the workouts I enjoy (like kickboxing, playing with my dog at the park, playing football with the kids). Exercise needs to fit into your life, not the other way around. You need to find something that works quickly but doesn't take long as well as something you enjoy. I'm interested in that HITT workout since I don't have much time either. 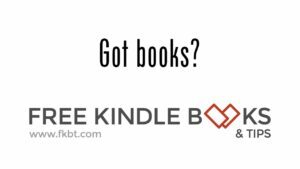 Your book includes references to the Bible and God. What does weight loss have to do with God? 1 Peter (5:7) tells us to give all of our worries to God. Health is a big worry for a lot of people. As Christians, we have a Father who has given us detailed instructions on how to be healthy if we only turn to Him. Much of our weight and health troubles come from lives of excess, whether in what we eat, what we drink, our exercise or our spiritual disciplines. When we allow God to work in one area of our life and we see how faithful He is, we feel secure to open up other areas as well. Sounds very logical. After all, He made us and He knows what types of food and lifestyle are best for us. What are some fun things that most people may not know about you? I did the foundational training for a horse that went on to be the top racing filly in California. 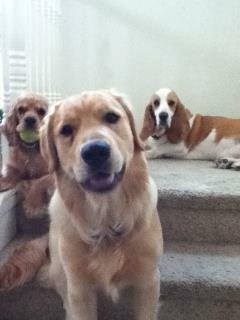 I treat my big, goofy, Golden retriever, Chance, like he's my fourth child. I'm an accomplished "Chair Dancer." (I can dance in my seat or the car.) I'm a fairly talented artist if only I could find time to sketch and we have a "Mommy Mad" side of the kitchen sink where nothing can be placed, just ask my children. Ha, ha, you must be loads of fun to be around. I've never seen anyone chair dance. Next time I pull up next to you at a red light I'll wave. Tell me about the new book. Rebuilding the Temple is a book that will put all of the pieces together for the average person. It is a plan for healthy living that will encompass your physical needs as well as your spiritual needs. When they are combined in balance, beautiful changes begin to happen. Rebuilding the Temple is designed to help anyone walk into a grocery store and be able to cut through the marketing hype to find things that are healthy for their family. It will help anyone, from beginner to advanced exerciser, learn and put good habits into play so that they can maintain a lifetime of health, not just a 30-60 day weight loss plan. Instead of being a one-size-fits-all diet book, it will teach the reader how to design a plan based on individual needs and desires. It will also combine those disciplines with becoming spiritually disciplined through daily devotions. I'm reading it right now, thanks! What can we look forward to from you next? Right now I'm finishing up the second title in the Journey Series (Journey to Grace). It's the continuing story of Michele and David from Journey to Almighty and picks up right where we left them - Michele is just about to have the baby. I'm also working on a couple of secular romance novels, Rodeo Gold and Dark Ryder. Rodeo Gold is a contemporary romance set around one of my favorite places - the rodeo. Dark Ryder is a historical romance and one of my favorites to write to date. I absolutely love the characters in this one from the spoiled Whitney to the very complicated Ryder and everyone in between! I look forward to your novels. Keep me up to date on when you're about to publish and we can feature you again. Thanks Tina, for joining us today. Where can readers find out more about you?